Prenuptial agreement pros and cons in Tennessee divorce: requirements, drafting, form, template, costs, example, enforcement, consultation, fees, rates, representation, and disclosure. Pre-nuptial agreement representation. 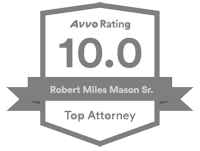 Miles Mason, Sr. personally handles all consultations and engagements in which a prenuptial agreement (also known as an antenuptial agreement or premarital agreement) will be contested in a divorce or drafted before a marriage. Our firm’s primary focus is litigation of prenuptial and postnuptial agreements. For divorces in which a pre-nuptial agreement or a postnuptial agreement will be contested, the firm’s regular consultation fees apply. To consult regarding a draft of a prenuptial agreement prepared by another attorney or party, the fee begins at $1,000.00. Miles reads and reviews the proposed prenuptial agreement in advance of the meeting. The consultation usually last several hours. Legal fees for preparing and negotiating a prenuptial agreement cannot be estimated and vary widely. The most important factors affecting the total fees are the size of the parties’ estates, the number and complexity of necessary valuations of assets and/or business interests, and the detail and length of negotiations. The retainer can range from $5,000.00 to over $15,000.00. Without exception, our firm represents only one of the parties to the prenuptial agreement. 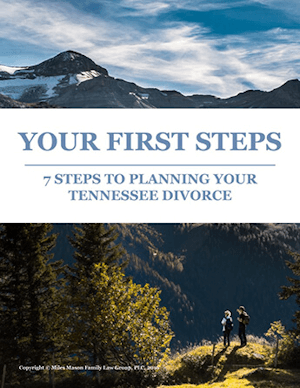 Tennessee prenuptial agreements document a couple’s agreement in advance of marriage to protect them in the event of a divorce. The Prenuptial Agreement can address property ownership, property division, alimony, and many other legal issues which must be determined in the unfortunate circumstance of divorce. In Tennessee and Arkansas, these agreements can be enforced. A properly drafted, negotiated, and executed agreement may be very difficult to set aside. To set aside a Prenuptial Agreement, there must be proof that the process was flawed, such as the existence of duress, coercion, or a failure to disclose or properly value assets. Today, Prenuptial Agreements are very popular between individuals who have been married before or those with meaningful estates. The main advantage is knowing ahead of time what will happen if the marriage ends. Some provisions however, such as those relating to custody and child support, will not be enforceable, even if a Prenuptial Agreement lists the parties’ desired outcome. Courts always have the authority to look after the best interest of children. Often, one or both parties own complex assets or inherited money. An agreement involving estates that include assets such as a business, stock options, or a rental property portfolio may require very skillful drafting. Another situation that requires a tailored agreement includes that in which the couple anticipates entering into a jointly owned business or other financial transaction. Making sure that every contingency is addressed can be quite a challenge. Experience has taught that we never know what the future may hold. In these situations, utilizing so-called “standard” or “boilerplate” provisions can cause more litigation than if no Prenuptial Agreement were entered into in the first place. One piece of good news is that Prenuptial Agreements can be redone after the marriage if the circumstances change or the parties change their minds about a particular provision. There can even be a “sunset provision,” dictating that the agreement expire after a certain period of time. In any event, the Prenuptial Agreement should spell out the procedure to be followed if both spouses want to make a change. If these circumstances apply to your situation, definitely get expert legal help. Neither spouse should try to make these types of changes on his or her own. Given all of the potential problems associated with agreements made between a couple before marriage, often a written Prenuptial Agreement is the best protection available. What can a prenuptial agreement do in Tennessee? Everyone has heard of Prenuptial Agreements. Most know why such an agreement can be a very important document. Very, very few people, however, really understand what Prenuptial Agreements can do, how they work, and how they can go terribly wrong. Family lawyers are often asked the following: “How much does a Prenuptial Agreement cost?” One simple response to that question is actually another question: “Do you want the agreement to be enforceable?” From there, the difficult explanation begins. For a Prenuptial Agreement to be enforceable, there are many considerations that must be taken into account. Most Prenuptial Agreements that have been prepared and executed from purchased forms on the Internet can oftentimes be successfully challenged because most forms do not address what needs to be covered or what can be covered. Plus, how they were agreed upon can be more important than what was agreed upon. An enforceable Tennessee Prenuptial Agreement requires serious and detailed legal work. Understanding the goal is key. The goal of all Prenuptial Agreements should be to survive attack. Many talented lawyers have written books and articles about attacking Prenuptial Agreements. People must realize that often there are very serious and predictable reasons for the attack. By the time the attack is mounted, the divorce is imminent, and the parties are no longer friendly. Almost always, the person at the mercy of the Prenuptial Agreement feels that the situation is grossly unfair. The first stop for the angry spouse is hiring the best lawyer possible. 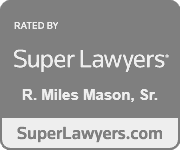 Did the less-propertied spouse receive independent legal advice? Was there full disclosure of assets and their values? Beyond these first two questions, inquires will turn to the process itself, seeking to determine if the process was “fair.” While each case is different, a few questions are most common. When was the Prenuptial Agreement presented to the less-propertied spouse? Two months before the wedding or twenty minutes before the wedding? How financially savvy is the less-propertied spouse? High school graduate or CPA? Were the assets valued? When? By whom? Were the valuations significantly understated? Who prepared the document? How one-sided was the deal at the time it was signed? How one-sided was the deal at the time of the divorce? How is the less-propertied spouse going to live after the divorce? Preparing a bullet-proof Prenuptial Agreement takes both thoughtful planning and creativity. The process is both science and art. Rushing the process invites failure. What about the “less-propertied” spouse? For the less-propertied spouse looking to survive the process, there is hope. Most people believe Prenuptial Agreements can only be one-sided. They do not have to be. For example, it is true that Prenuptial Agreements can eliminate alimony. But they can also specify that (a) a particular type of alimony be paid (there are four types in Tennessee) (b) in a certain amount each month (c) for a certain length of time. Most soon-to-be-spouses underestimate what Prenuptial Agreements can accomplish. The quality of legal advice each future spouse receives can make a big difference in controlling the end result and protecting both parties’ financial futures. Do you have any tips for me about asking my fiancé to sign a prenup? 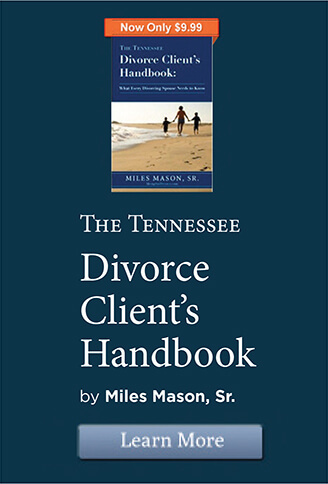 Sure, see our Tennessee Family Law Blog article, Happy Valentine’s Day: Here’s Your Prenup to Sign. For analysis, updates, and case law summaries, see the Prenuptial Agreement category of our Tennessee Family Law Blog.